"Don't draw your sword unless you are prepared to use it." These might sound like the words of a violent man, but martial arts instructor, licensed acupuncturist and massage therapist Tom Cohen considers himself a laid-back kind of guy. "I am drawn to martial arts because I love the art of what I do. I appreciate the time and dedication that it takes." 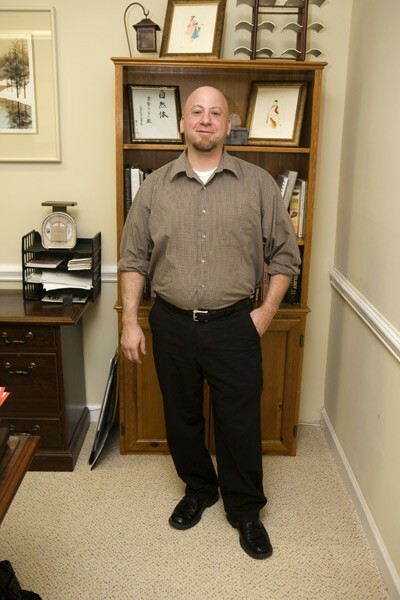 Cohen practices acupuncture and massage therapy at Insight Wellness, his office on Park Road. His goal is to offer a blend of Western and Eastern medicine. "I don't think of acupuncture as a cure-all, but I do consider it maintenance. I work with doctors to help people feel their best." In order to become a licensed acupuncturist, Cohen spent over 2,000 hours training and learning about Eastern and Western medicine. In addition to acupuncture and massage, Cohen has devoted the last decade of his life to martial arts. He has studied with Japanese Master Soshi Seigo Okamoto and has helped to start several groups here in the United States. His specialties are Aikido, Tai Chi and Aikijujutsu. "In the martial arts that I study we learn that a person's intent is everything. If you intend to hurt me I will defend myself. But I can only hurt you as much as you intended to hurt me." For more information on the classes Cohen teaches or to learn more about acupuncture you can visit www.charlottencacupuncture.com.